We do not own nature – “The earth is the Lord’s and the fullness thereof.” (Psalm 24:1) We are its stewards on behalf of God, who created and owns everything. As guardians of the earth, we are duty-bound to respect its integrity. The mid-nineteenth century commentator Rabbi Samson Raphael Hirsch put this rather well in an original interpretation of Genesis 1:26, “Let us make the human in our image after our own likeness.” The passage has always been puzzling, since the hallmark of the Torah is the singularity of God. Who would God consult in the process of creating humans? The “us,” says Hirsch, refers to the rest of creation. Before creating the human, a being destined to develop the capacity to alter and possibly endanger the natural world, God sought the approval of nature itself. This interpretation implies that we would use nature only in such a way that is faithful to the purposes of its Creator and acknowledges nature’s consenting to humanity’s existence. The mandate in Genesis 1 to exercise dominion is, therefore, not technical, but moral: humanity would control, within our means, the use of nature towards the service of God. Further, this mandate is limited by the requirement to serve and guard as seen in Genesis 2. The famous story of Genesis 2-3 – the eating of the forbidden fruit and Adam and Eve’s subsequent exile from Eden – supports this point. Not everything is permitted. There are limits to how we interact with the earth. The Torah has commandments regarding how to sow crops, how to collect eggs, and how to preserve trees in a time of war, just to name a few. When we do not treat creation according to God’s Will, disaster can follow. We see this today as more and more cities sit under a cloud of smog and as mercury advisories are issued over large sectors of our fishing waters. Deforestation of the rainforests, largely a result of humanity’s growing demand for timber and beef, has brought on irrevocable destruction of plant and animal species. We can no longer ignore the massive negative impact that our global industrial society is having on the ecosystems of the earth. Our unbounded use of fossil fuels to fuel our energy-intensive lifestyles is causing global climate change. 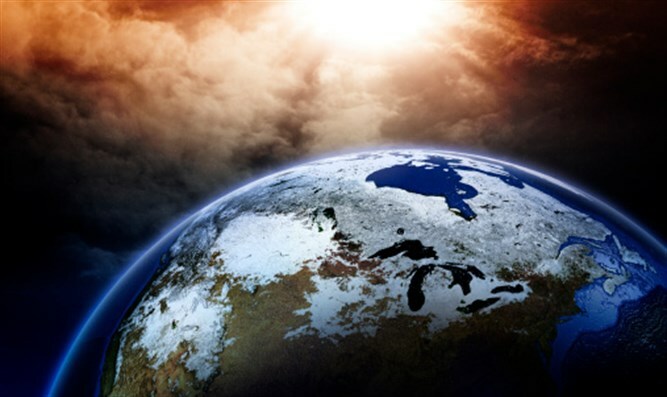 An international consensus of scientists predicts more intense and destructive storms, floods, and droughts resulting from these human-induced changes in the atmosphere. If we do not take action now, we risk the very survival of civilisation as we know it. Ingrained in the process of creation and central to the life of every Jew is a weekly reminder that our dominion of earth must be l’shem shamayim – in the name of Heaven. The choice is ours. If we continue to live as though God had only commanded us to subdue the earth, we must be prepared for our children to inherit a seriously degraded planet, with the future of human civilisation put into question. If we see our role as masters of the earth as a unique opportunity to truly serve and care for the planet, its creatures, and its resources, then we can reclaim our status as stewards of the world, and raise our new generations in an environment much closer to that of Eden.